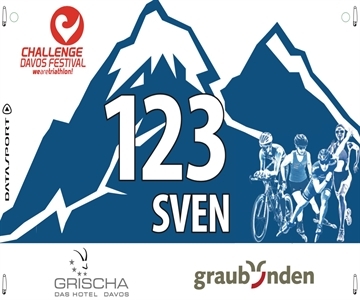 The Challenge Davos Festival which is over two days combines the internationally orientated half distance race of Challenge Family with the national triathlon series TRI Circuit , which offers a range of short distance events for all ages. Adding to this, a time trial effort by bike, roller-skies or inline-skates (or even by running) aimes to attract more endurance athletes. Davos is situated in the heart of the Swiss canton Graubünden and is the highest town in Europe, famed for the diversity of sports, leisure and cultural offers, its rejuvenating climate, the HC Davos, the Spengler Cup, the Kirchner Museum and the World Economic Forum. For the ladies of course the German Lena Berlinger will defend her title from the previous year. Having survived her April collarbone break and subsequent victory in the Inferno Triathlon. The biggest challenger is the winner of Challenge Rome,Challenge Gran Canaria and just this past weekend gone Challenge Alemere-Amsteredam Yvonne VanVlerken (NED). Last year's third placed Lisa Roberts from the USA is also registered again. Past men's winners Thomas Steger (AUT) and Pieter Heemeryck (BEL) are on the start list and promise that there will be a similarly exciting race as last year. Co-competitors Sven Riederer (SUI) and Per Van Vlerken certainly want to intervene in this duel. Likewise one should have Julian Erhardt of the team Erdinger alcohol free on the bill.